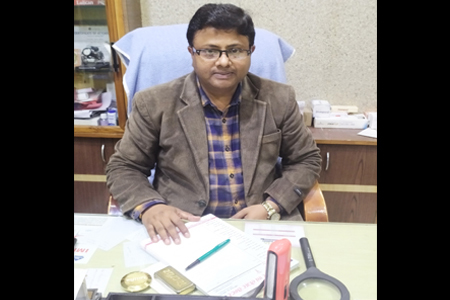 Dr. Devendra Yadav [M.B.B.S, M.D. (Skin and V.D) Ex. Consultant Dermatologist in Medical Collage Satna (U.P.P.M.S), चर्म, कुष्ठ एवं गुप्त रोग विशेषज्ञ] Skin Care Centre is a best and first-rate centre that endeavors to offer a wide array of laser and aesthetic skincare treatments. Dr. Devendra is one of the topnotch dermatologists in Allahabad and makes use of “Gold Standard” and state-of-the-art technology for each and every procedure that is being carried out at the clinic for every type of skin and person. Our skin clinic is a place you can visit for numerous kinds of procedures that can give you healthy, radiant and young-looking skin. All the procedures are carried out under the supervision of D. Devendra. The outcomes of these treatments are incredible and there are countless options to pick from. Skin Care Centre is devoted to offer high-quality care in a very warm and friendly atmosphere. All our treatments are implemented under the strict supervision of physicians and are conducted carefully by licensed, trained and proficient medical and aesthetic staff. We also have a vast pool of high-tech equipments to treat all your skin and sexual health related ailments.